3677 Park Avenue, ELLICOTT CITY, MD 21043 (#1009986670) :: Arlington Realty, Inc.
"There~s community and then there~s commUNITY," says owner Mojan Bagha of the residents and business owners in Historic Ellicott City. ~I have been here for so many years with my Main Street Oriental Rugs business,~ he says with his chest out proudly, ~I have experienced many residents and business owners in that time and I can say; once you are here, you will become a part of this place and a part of the people in a way and with a feeling you have not ever had before.~ Your best life and business begin in a community that inspires. LIVE-WORK in Historic Ellicott City! 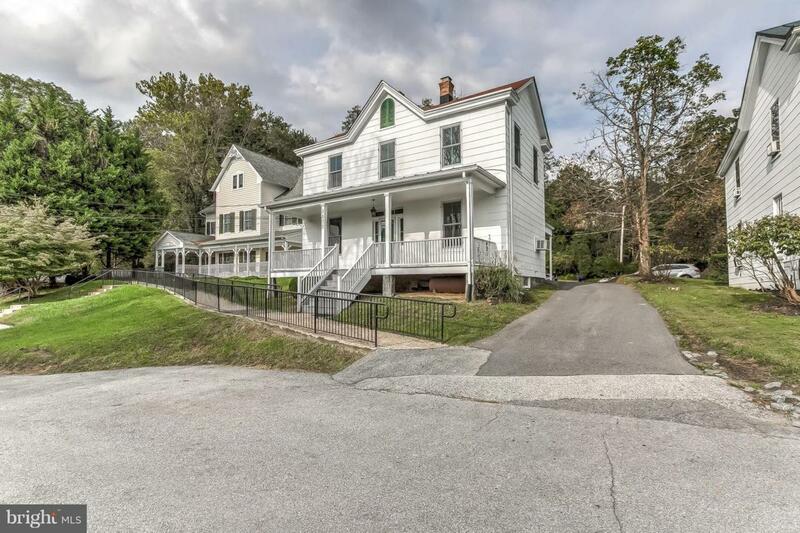 This great Victorian building in the upper Court House District of Ellicott City offers a main level kitchen with two reception or office rooms and four 2nd level treatment rooms or offices. Private on-site parking, adjacent to large public parking and walking distance to Main Street! Also for lease for $1,950/month.